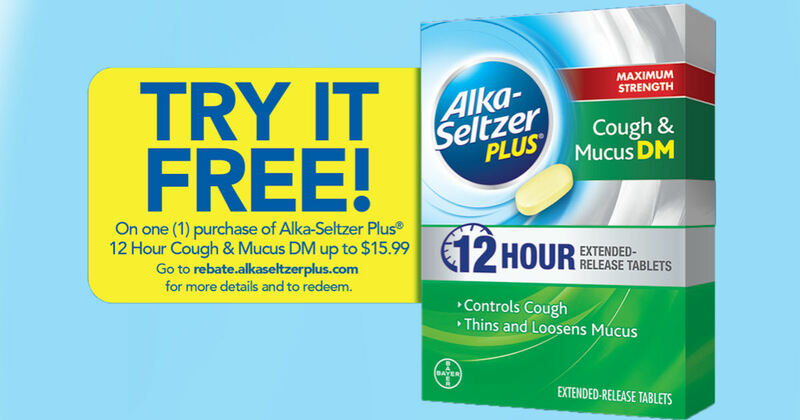 Try Alka-Seltzer Plus Maximum Strength Cough & Mucus DM for free with their mail-in rebate offer. Simply purchase an Alka-Seltzer Plus Maximum Strength Cough & Mucus DM product and submit your rebate to receive your purchase price back up to $11.99. Purchases must be made between 2/2-2/24/19. Please allow 8-10 weeks for delivery of your refund.